Nearly two weeks after conflict ended, agreed on ceasefire terms aren’t implemented. Status quo conditions remain. More on this below. It’s unclear what follow-up Cairo talks will achieve. Or if Israel will attend. On September 2, Netanyahu told a closed cabinet session he won’t send a delegation to Cairo for further discussions. Operation Protective Edge (OPE) ceasefire terms require both sides to do so. Major issues remain unresolved. So does addressing Israeli violations. Three times post-OPE, Israeli gunboats used live fire against Palestinian fishermen off Gaza’s coast. They did so in flagrant violation of ceasefire terms. Two arrests followed. Palestinian victims had their boat confiscated. Gaza remains a war zone. Communities lie in ruins. Human misery is palpable. West Bank Palestinians are ruthlessly persecuted. According to the Palestinian Prisoner’s Society, Israeli forces lawlessly detained 127 West Bank Palestinians in early September alone. Since early June, about 2,000 were arrested and detained. On Sunday, 2006-elected Palestinian prime minister/senior Hamas leader Ismail Haniyeh called for a committee to follow up on implementing OPE agreed on terms. Israel obstructs doing so. Abbas does nothing to help. Fatah/Hamas friction substitutes for Palestinian unity. It’s absent when most needed. Hamas spokesman Sami Abu Zuhri accused Abbas of criticizing Hamas publicly. His “remarks against Hamas and the resistance are unjustified, and the sources of information and figures he relied on were incorrect and have nothing to do with the truth,” he said. On Sunday, PA Prime Minister Rami Hamdallah said the international community threatened to boycott Palestinian leadership if it pays Hamas employees wages they’re owed. “If this happens, the Palestinian banking system will face a huge problem that will threaten the Palestinian situation in general,” he said. He called this issue a major unity government stumbling block. Hamas demands its 45,000 employees are paid. War and economic isolation prevents it from doing it. About 27,000 are civil servants. Others are police and security forces. Palestinians are heavily dependent on international aid. Boycotting them will be devastating. In June, Qatar said it would contribute $60 million toward paying Gazan salaries. So far, funds haven’t arrived. On August 26, OPE ceasefire terms were agreed on. On September 4, the Palestinian Center for Human Rights reported on Israeli human rights violations from August 28 through September 4. Four civilians died from OPE sustained wounds. They included a child and a woman. A Jerusalem baby perished from tear gas inhalation. Israel wounded eight Palestinian civilians in multiple shooting incidents. Three children and an elderly woman were affected. Israeli soldiers continue using force against peaceful West Bank protests. They conducted 77 lawless Palestinian West Bank community incursions. On average 11 a day. Soldiers arrive pre-dawn. Homes are broken into. They’re searched and ransacked. Property is damaged and stolen. Families are terrorized. Children are traumatized. Lawless arrests follow. Police states operate this way. Israel is one of the world’s worst. It continues total Gaza closure. More on this below. West Bank communities are virtually isolated from each other. Israel continues creating an occupied East Jerusalem Jewish demographic majority. It wants Jerusalem as its exclusive capital. It wants Palestinians ethnically cleansed. Its forces support West Bank settlement activities. Its settlers attack Palestinians with impunity. Collective punishment is official Israeli policy. Western leaders support its high crimes against peace. Equitable conflict resolution is pure fantasy. Palestinians remain isolated on their own. Gazans suffer most. It bears repeating. Nothing has been done to help them. Nothing to implement ceasefire agreed on terms. Nothing to end Israeli lawlessness. Nothing to demand long denied justice. Nothing to establish governance of, by and for all Palestinians equitably in place of Abbas illegitimacy. He shares responsibility with Israel for business as usual. Nothing in Gaza is moving. Reconstruction hasn’t begun. Hamas employees haven’t been paid wages they’re owed. Abbas won’t do so. At least no time soon. Blockade conditions remain unchanged. Vitally needed building materials for reconstruction aren’t coming in. Israel permits small amounts only too little to matter . Crossing points to Israel and Egypt remain largely blocked. Palestinian unity is pure fantasy. PA security forces harass and arrest Hamas activists. Rancourt was a tenured University of Ottawa (U of O) professor. He’s a recognized physics and environmental science expert. He was fired for political activism. 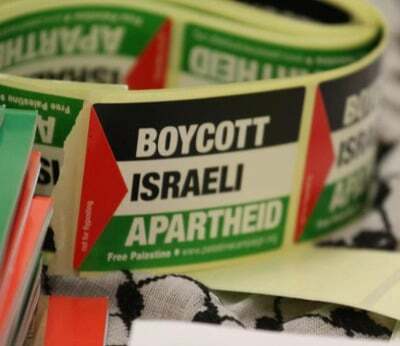 For supporting Palestinian rights. For denouncing Israeli crimes. For championing right over wrong. The Israeli Lobby exerts enormous influence on US policy, Rancourt stresses. Criticizing Israel is the third rail in US politics, the major media and academia. Supporting Palestinian rights is verboten. Daring to criticize Israel virtually assures academic lynching. It’s a career-ender for professors like Rancourt. “(T)he (US) Empire, via Israel, is embarked on a vicious and murderous project without an end in the Middle East,” said Rancourt. and in promoting the myth of unique Jewish suffering. U of O president Allan Rock “needed (Rancourt) out of the way. The Empire” wants critics banished. Lobby power targets anyone criticizing Israeli high crimes against humanity. “(T)o a large extent,” it subverts “US democracy,” says Rancourt. Rancourt called Gazan Operation Protective Edge resistance “awe-inspiring.” David stood tall against a “genocidal-maniac(al)” Goliath. “Only real pressures can slow” Israel’s killing machine. Perhaps some day. Not yet. Anti-Hamas propaganda persists. Israeli media are willing co-conspirators. “…Hamas militants have returned to arms smuggling through several tunnels that remain intact under the Philadelphi Route in Rafah,” he said. Anti-Hamas propaganda enlists public support for more conflict. Fear-mongering works this way. So does hate-mongering. It’s just a matter of time before more Israeli aggression. Media propaganda makes it more likely. Rule of law principles don’t matter. Slow-motion genocide is official Israeli policy. How much more mass slaughter, destruction and unspeakable human misery will be tolerated before things change? When will Palestinian rights matter as much as Jewish ones? When will Israel be held accountable for high crimes against peace? When will Palestinian liberation arrive? When will they be able to breathe free on their own land in their own country? When will Israeli colonization, apartheid and occupation harshness end? When will peace, equity and justice prevail?